Some FAQs on how we work with our clients. If you have other questions please leave a comment and we will answer them. How can Halcyon Virtual Assistance help me? 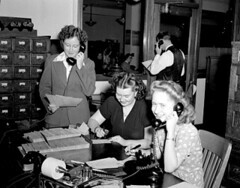 Halcyon Virtual Assistance supports historians and heritage professionals with business, professional and personal administration. We start by learning about you, your research and your business through an initial consultation. We look at areas of administration which are taking up time that would be better spent on your research and business. As a specialist virtual assistance service our team members include proofreaders, copy editors, picture researchers and transcribers as well as expert PAs and administrators so we can support you from research to publication. Have a look at our services page which lists some of the areas we support our clients in. A virtual assistant provides business support, co-ordination and administration on a remote, virtual basis. A VA works with you to provide administrative support and management for your business, research or personal life. Working with a VA is ideal for freelancers, independent researchers, consultants, authors, small and large businesses, in fact anyone who needs specific support but does not need or can’t afford a full time employee. Working with Halcyon Virtual Assistance starts with a free consultation where we find out more about your business and your needs and discuss areas where we can help you achieve your goals. Once you become a client, whether it is for ad libitum or ongoing support, you are assigned a member of our team who will be your VA. Depending on your needs you may have the support of other team members- for example, proofreaders and copy editors- and your VA will manage and oversee the work so you don’t have to deal with different team members. We work electronically and unless otherwise instructed all work will be delivered via email or shared e-files. Regular updates and opportunities for feedback are essential to make sure you are achieving your goals and to discuss further areas of support as these change. This is done via email, phone or Skype. We also like to meet our clients, where possible, at least once a year. Our services are primarily virtual which means we work from our own offices. However, on-site support can be provided for conference, event and workshop/course management. Can we meet to discuss the work? Consultations and discussions are usually done over the phone, Skype or by email. Depending on your location the initial consultation can be done in person. Halcyon Virtual Assistance is located in Buckinghamshire and we are ideally located to meet in London and Oxford. ← Transcription – why bother?